Patagonia’s brand identity is complicated. Once beloved by socially-conscious hippies, it now doubles as the official jacket of the frat boy. What will the Patagonia of the future look like? To answer that question, we’ve gazed to the past. Inheritance. 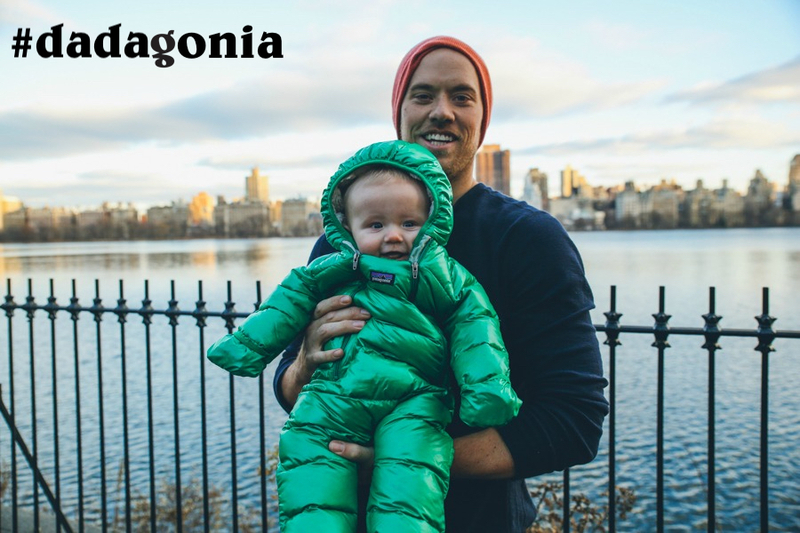 Whether it be the natural world each generation must protect for the next, or the world's comfiest fleece pullover passed down from dad—Patagonia is about taking care of the good stuff and making it last. 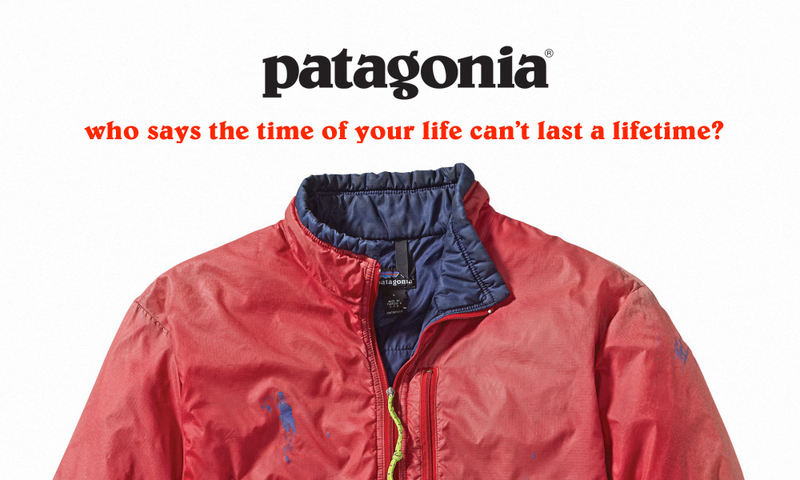 The pitch: After 45 years, Patagonia’s name speaks for itself. But what is it saying? High quality and classic simplicity have made their products the benchmark for generations of serious outdoor enthusiasts. And the company’s ethos of environmental and social advocacy has provided a model for how a corporation can still be successful without compromising principle. On a sentimental level, Patagonia clothing is by now a time-honored fabric of the American household. It is what kids grow up seeing their parents wearing as vital young adults, a layer of comfort and security in the midst of life’s action. These coats and pullovers become part of the family—inherited proudly, already weathered by rich experience. But to some, modern Patagonia evokes frat dudes and investment bankers as much as it does alpinists or kayakers. A symbol of trendy conformity, when its logo deserves to embody the rugged individualist. Patagonia’s mark of quality is not cheap. But that doesn’t have to equate to obnoxiously elite. When a sustainable piece of Patagonia clothing is recycled, repaired, and reused for generations, it isn’t the price tag that makes it great; it’s the story. 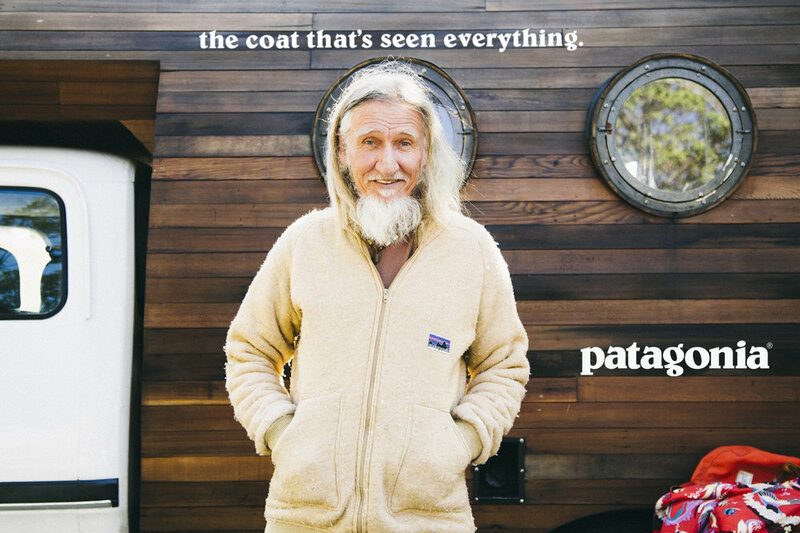 A coat from Patagonia isn’t about status or passed-down privilege. It’s about passed-down adventure.